Shop Hosa XRM Unbalanced Interconnect RCA to XLR3M from AMS and enjoy Fast & Free Shipping. 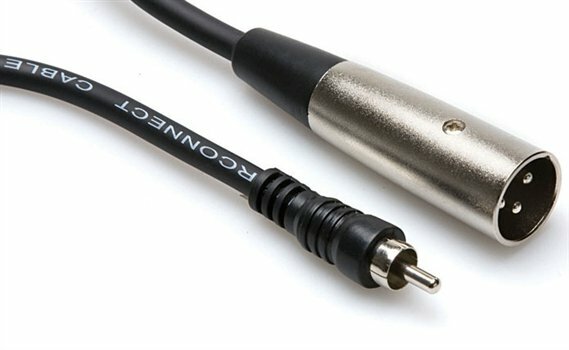 The Hosa XRM interconnect cable is designed to connect gear with phono outputs to gear with XLR inputs. For best results, match the high output impedance to the low input impedance. This product was a life saver. Great quality and it works! Great.... The sound is better... I really happy!!!! Works very well with my mixing board.